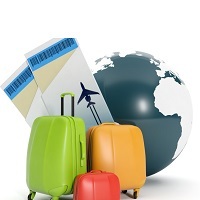 Get a Travel Insurance Policy that covers risks like loss of luggage, passport misplace or accidents. Ushodaya Tours & Travels provides with the best travel insurance services all over the world at competitive rates. Based in Visakhapatnam, we look after the safety of the clients and provide them with the best service. You can even compare our insurance policy with other companies. Our agents are well equipped with the knowledge in this field. Call us anytime or mail us to get these benefits.